Count on Rainbow Gutter Cleaning in Kenilworth, New Jersey, to provide you with all-inclusive gutter repair and cleaning services. To prevent alarming complications and long-term damage, we find potential problems before they develop. It is also very important to preform preventative maintenance on your gutters every six months, or as needed. Ensure that your gutters are working properly with the help of Rainbow Gutter Cleaning. To prevent overflows from damaging your home, we recommend that you have your gutters cleaned twice a year, preferably during the spring and fall. 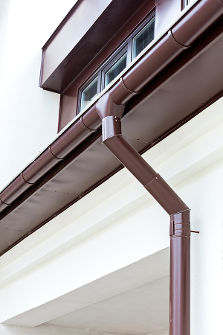 Gutters can overflow any time, and this sudden problem is caused by several factors. Incessant tree shedding, heavy winds, and storms all affect the condition of your gutter system. To mitigate problems, we offer year-round solutions. Call us, so we can provide additional gutter cleaning services through the seasons. Contact us in Kenilworth, New Jersey, to get more details on our reasonably priced gutter repair and cleaning services.